It’s no wonder Port Elizabeth is called the “Friendly City” with its pristine beaches, fascinating museums and landmarks, exceptional wildlife destinations and warm welcoming locals. PE is found on Algoa Bay in the Eastern Cape and is also a major port city. Whether you are whale spotting by boat, game viewing, hiking or strolling the shores of the local beaches, you will find yourself in awe of the natural beauty that this city has to offer. If you are planning a trip to the Eastern Cape, you won’t be at a loss for hotels in Port Elizabeth to choose from. These range from budget friendly hotels to the more luxurious 5 star establishments as well as a few pampering spa hotels in Port Elizabeth. By using our hotel search feature on this page, you can find just the right Port Elizabeth hotel to host your stay. Remember, we also offer the cheapest flights to Port Elizabeth by comparing all the Domestic Airlines in South Africa daily! 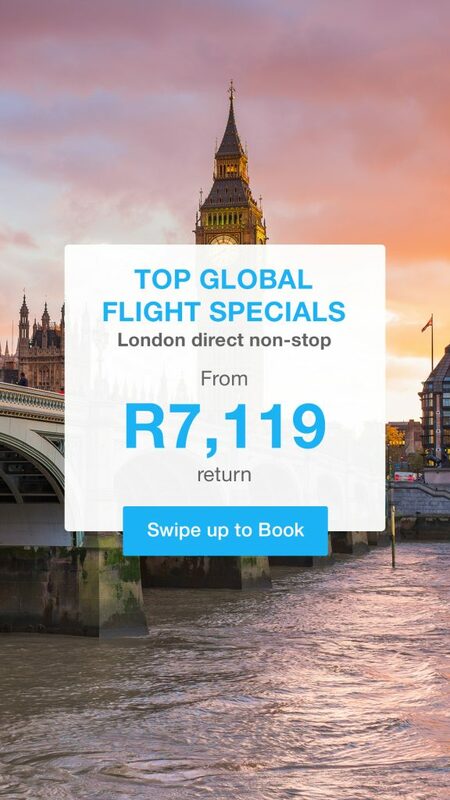 You will find the best deals on flights to Port Elizabeth with us. PE is somewhat of a coastal hub and also one of the largest cities in South Africa. The city stretches 16km along the Algoa Bay coast and is known to have approximately 300 days of sunshine each year. As a result, and because of its coastal location, Port Elizabeth is the ideal holiday destination for those who love outdoor activities. Officially, the city has a sub-tropical climate with light rain all year round. The Paxton Hotel (4 star). If you’re heading for the beach, you will find that Algoa Bay, which is the coastal strip along Nelson Mandela Bay, offers a 40km expanse of beaches. The beaches along this stretch include Kings Beach, Hobie Beach, Humewood Beach (Blue Flag Beach), Pollock Beach and Denville Beach. Spend some time enjoying some of the beach activities on offer in the area which include surfing, scuba diving, snorkelling, sailing, fishing and more. Several of the quieter beaches which include Sardinia Bay, Blue Horizon Bay, Beachview and Bluewater Bay are great locations for these and many other activities. While staying in a city hotel in Port Elizabeth, take some time to check out the Stanley Street area. Here you will find some of the most popular restaurants and clubs in the city. For a great dining experience, consider the following restaurants and bars: Grassroof Cafe, Friendly Stranger, Ye Old Port Captain’s House, The Brazen Head, Company Social Brasserie, Salt Restaurant, Cafe Capellini, The Bayside Pantry, La Fiesta, Two Olives, Barnacles, Infinity Cocktail Bar, The Brewmaster, Angelos and The Barn & Barrel. While the beaches in PE will take up a great deal of your time, there is a lot more to the area than sand and sea. If you’re a history buff, you will find the landmarks and museums of particular interest. Make some time to visit the Red Location Museum, Castle Hill, South End Museum, Nelson Mandela Metropolitan Art Museum, Campanile Memorial and Bayworld. The Donkin Reserve is also a good place to visit where you can enjoy the various walking trails and enjoy the many birds indigenous to the area. Pay a visit to the opera house and lighthouse and take a walk through St George’s Park which is the oldest park in the city. Here you will find the Prince Alfred Guard Memorial and the St George’s Cricket Oval. Route 67 is also a must-see. This is a collection of 67 pieces of art dedicated to Nelson Mandela. The route includes visual art and heritage and also showcases old Victorian churches. If shopping and entertainment is more your scene, spend some time at the Boardwalk Casino and Entertainment complex in the main city. Delight in the tastes and atmosphere of some of the city’s finest restaurants, browse through a multitude of shops and also enjoy the amphitheatre and casino. If you are looking for a hotel in Port Elizabeth to host your stay in the city, you have come to the right site. Simply search for hotel options in your price range and pay securely online. At Domestic-Flights SA we offer our clients the option of securing both cheap flights and cheap hotel accommodation in Port Elizabeth and the rest of South Africa. Book your accommodation in PE today.